Come join an orthodontic revolution at Martin Dental. We provide corrective aligners that are clear, convenient, and comfortable. When you wear Invisalign braces, you won’t feel like you’re wearing braces at all! As you wear your customized aligners, your teeth will gradually shift into their optimal positions. Well-aligned teeth ensure a more functional bite with a reduced risk of TMJ disorder. They are also easier to clean, making them less vulnerable to dental decay. If you want to achieve a flawless straight smile, consider correcting your dentition with Invisalign invisible braces. Come on into Martin Dental for a friendly consultation. Let’s discuss whether Invisalign is right for you, and address any questions you may have. When we are ready to proceed, we will learn more about your smile with x-rays and impressions. We will create customized clear aligners based on your exact specifications and your dream smile. Wear your aligners every day for at least 20-22 hours out of 24. Remove them to eat, brush, and floss. Once your teeth progress and fit your aligners seamlessly, you’ll switch out your aligners and begin to wear the next set in the series. Full treatment lasts one year on average. The clear aligners are virtually invisible. You don’t have to wear bulky metal braces to create a beautiful smile. Aligners are customized to fit your teeth and made of a smooth plastic material. They are significantly more comfortable than traditional brackets and wires. 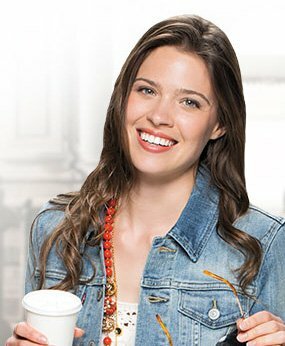 Invisalign is removable for your convenience. Eating, brushing, and flossing will be easy as ever. Protect your smile from periodontal disease, bite problems, mouth sores, and speech impediments. Have you lived for years with a crooked smile? You can change all of that in an average of one year with convenient Invisalign braces. There’s no longer any need to put off orthodontic treatment, because you don’t have to change your day-to-day life to wear Invisalign! Exude confidence both during and after your orthodontic treatment. To learn more, contact Martin Dental today.